Japan is a destination with a seemingly endless list of activities for you to enjoy. Cities like Tokyo and Kyoto keep tourists entertained day after day, all on their own. But enjoying all these activities and experiences comes at a price, literally. Japan is not known as a cheap destination, so budgeting for travel in Japan can be difficult. Thankfully, there are enough free things to do in Japan that you can put together an itinerary that is both loads of fun and friendly to your wallet. And that doesn’t just mean in places like Tokyo but right across Japan’s islands. Since transport can be a big cost, this list of free Japan activities is designed to be accessible with a Japan Rail pass , so you won’t need to pay any extra to get about. Without further ado, here are 10 insightful and amazing free activities you can do in Japan. It’s rare when you find an extremely popular tourist destination that also happens to be completely free, but that’s exactly what the torii gates of Fushimi Inari Taisha is. This famous landmark in Kyoto has become iconic as a photo spot with tourists. That’s due to the thousands of bright orange torii gates that create paths through this Shinto shrine. One look at a photo from here and the gates are instantly recognizable. An incredible landmark and Kyoto attraction, the paths through the torii gates lead into the sacred forest on Mount Inari. Balancing photogenic scenery with deep cultural significance, the fact that the Fushimi Inari Shrine has free admission is genuinely quite incredible. Best of all, it’s only 10 minutes out along the JR Nara line from Kyoto station, making it supremely easy to get to. Historic destinations always make for great free things to do since you can simply walk through history. This certainly holds true with the old town of Takayama, once a prosperous merchant town in the mountains of the Gifu Prefecture. Across all of Japan there are few places quite like this preserved old town from the Edo Period. With its rural setting and wonderful traditional wooden houses, wandering the Old Town of Takayama is a real joy and doesn’t cost a cent. And although venturing into the town’s cafes and sake breweries naturally comes with a cost, attractions like the Takayama Museum of History and Art and Hachiman Shrine are free to visit. Despite its seemingly secluded location, Takayama is reachable with the JR pass on trains that connect Nagoya with Toyama. One aspect of Japanese culture that most people are at least a little familiar with is the sport of sumo. But to actually gain an appreciation for this form of wrestling, it’s really helpful if you visit the free Sumo museum inside the Ryogoku Kokugikan Sumo Hall. Ryogoku is the district of Tokyo where all things sumo happen and is where the wrestlers eat, train and fight. With a trip to the museum, you can delve into the history of the sport, learning how it evolved from a Shinto ritual to a massive competitive sport. Exhibits include art depicting sumo competitions and paraphernalia from the sport, like the ceremonial kesho-mawashi, that were worn by champion wrestlers. Useful to know is that Ryōgoku Station is reachable with the JR pass on the Chuo-Sobu line. Japan isn’t especially well known for its wildlife encounters. One that has become quite popular, however, is the chance to see the deer that call Nara Park home. Here in the ancient city of Nara, the nation’s first capital, almost 1200 deer call this park home. Visiting Nara Park, you can sightsee as these gentle animals wander around about you. What’s great about visiting the deer at Nara Park is that the only time you may need money is if you want to feed the deer the special crackers that the park sells. Yes, entry to this park on the city’s eastern end is free to the public. Besides getting up close and personal with the deer, Nara Park is home to several museums and temples. Among them are free sights like the Yoshikien Garden, Nandaimon Gate and Nigatsu-do temple. As Nara is often seen as a convenient day trip for travelers, it’s helpful that there are JR trains connecting Nara with both Osaka and Kyoto. Japan’s love of anime and cosplay is famous and the chance to experience an Anime cosplay convention is not one you should pass up. While often conventions require tickets to enter, there is one that is free to attend, and it just so happens to be one of the biggest fan conventions in the world. Comiket in Tokyo sees over 500,000 visitors when it is held every August and December. While Comiket touches on many aspects of modern Japanese pop culture, it particularly celebrates dojinshi, Japanese self-published comics. An intriguing slice of Japanese society, this is a cultural experience that you won’t find at any temple. If you have room in your luggage, why not bring a costume too so that you can fully embrace the event. The city of Hiroshima is associated with several things, but perhaps the most beautiful is the nearby island of Miyajima. What makes this island special is its serene atmosphere and that it is home to one of Japan’s most beautiful views, the floating Torii Gate. Resting just off the shore from the Itsukushima Shrine, at high tide this iconic landmark appears to float atop the water, glowing as if by magic. Now, although the Itsukushima Shrine does have an entrance fee, there’s plenty more to explore on Miyajima besides that. One such is the Daisho-in Temple, an important temple for Shingon Buddhism. Make sure to spin the metal wheels along the temple’s staircase to receive a Buddhist blessing. If you’re feeling more active, there’s also hiking trails up Mount Misen, with waterfalls and stunning natural scenery to be admired. This journey to Miyajima is technically only free if you have the Japan Rail Pass since the Miyajima ferry is included free with the pass. As for getting to the ferry, just take the train out from Hiroshima. Throughout Japan, it’s possible to find countless spa resorts, better known there as onsen. Often found together in resort towns, usually the main thing to do in these towns is to spend time at the onsen. Not so in the town of Yufuin on the island of Kyushu outside Beppu, where the town itself is quite the attraction in its own right. You see, Yufuin is unquestionably a cute place, with its shopping streets below the epic specter of Mount Yufu. Perhaps cutest of all though is the Yufuin Floral Village, which looks like it’s been transplanted from a Hansel and Gretel fairy-tale. Then there’s the picturesque spot by Lake Kinrinko as the town begins to merge with its rural surrounds. 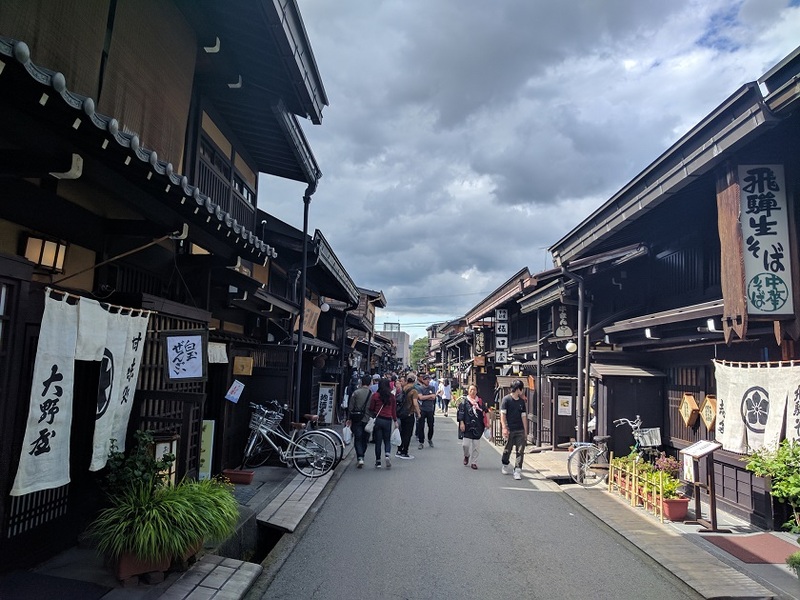 It’s all of this adorable scenery that makes Yufuin a popular day trip, freely taking in the atmosphere and sights when the cost of an onsen seems too much. And while not the quickest approach, Yufuin is accessible by JR train, saving money yet again. Religion, culture and history combine with Japan’s many temples, which can be frustrating for budget travellers when their entrance fees stack up. That’s just one of the reasons why the Sensoji Temple in the Asakusa District of Tokyo is so great for tourists. Not only is it completely free to visit, but it also happens to be Japan’s oldest temple and one of its most popular. If you only have time for one temple, this is it. Built in 645, the Buddhist temple complex of Sensoji is made up of multiple gates, pagodas and shrines. That’s not to mention the extensive Nakamise shopping street, which has bustled with trade for centuries. Sensoji offers tangible, uninterrupted history that you can see, hear and feel. It also just happens to be a vibrant and photogenic Tokyo landmark. Ever wondered how beer is made? Or maybe you just like the occasional drink? Well the Kirin Beer Factory in Yokohama seems like the perfect fit. Plus, it may be one of the more popular free things to do in Japan. Kirin, one of Japan’s leading beer breweries offers free guided tours through its Yokohama factory, where you can learn about the beer’s history stretching back to 1907 and the fermentation process. But never fear, you also get the chance to drink, as you finish the tour with a free tasting of beer samples. Now given how inviting this all sounds for a free activity, it’s hardly surprising that it’s recommended you make a reservation as places fill up. Whether you’re already in Yokohama or visiting as a day trip from Tokyo, you can get there with your rail pass, first by getting to Yokohama station and then on the Keihin-Tohoku Line to Shin-Koyasu Station. A perennial favorite for those looking for free things to do in Japan is to explore the country’s parks. With its sense of size and history, Ueno Park in the heart of Tokyo is a perfect place to do just that. Originally tied to a temple that was later destroyed, this park was established way back in 1873. Today it’s just a great place to walk around and soak up the local atmosphere between shopping expeditions. Although Ueno Park is home to many museums and a zoo, it has its share of free sights too. There’s the view to Bentendo, an island temple hall on Shinobazu Pond. 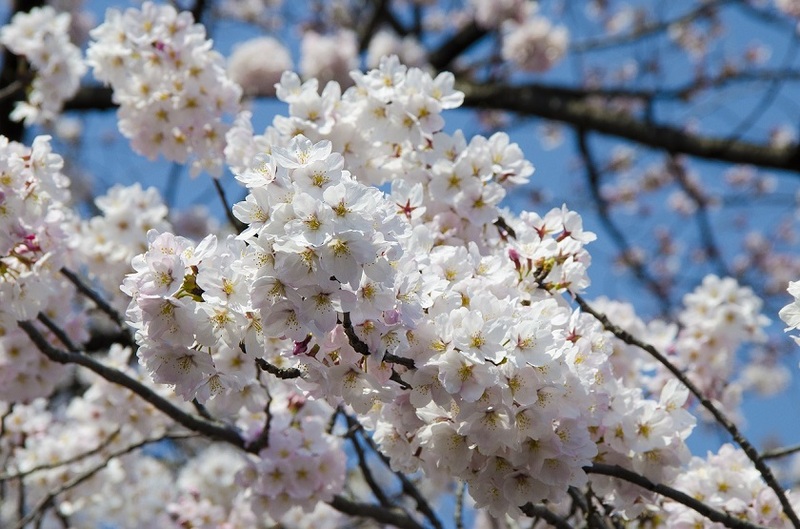 Even more enchanting though are the trees in Ueno Park when cherry blossom season arrives. The park quickly becomes lively with people seeking to witness this seasonal delight. Still, whatever time you visit Tokyo, Ueno Park is sure to please.